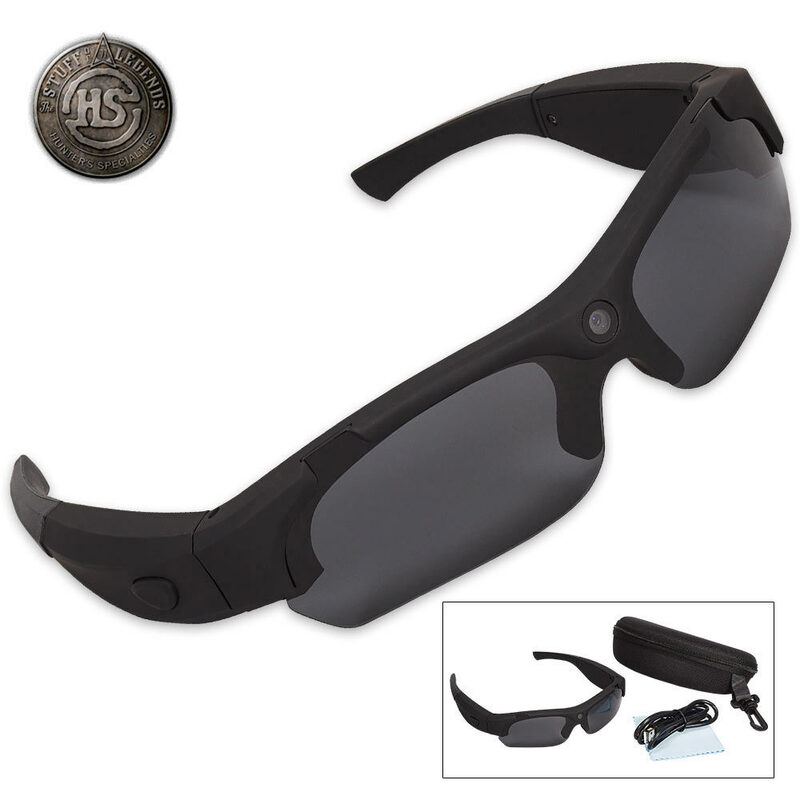 I-Kam Xtreme Video Eyewear VGA Black | BUDK.com - Knives & Swords At The Lowest Prices! Don't miss out on saving your amazing adventures for posterity and being able to watch and relive them over and over again. The I-Kam Xtreme Video Eyewear has cleverly integrated a digital video camera into sleek black frames with impact-resistant polarized black lenses. So not only will you capture every minute but you will look great doing it. A microphone captures all the sound and 4 GB of memory is built-in for up to two hours of recording. A 32 GB Micro SD card can also be used with these glasses and it can be hooked directly to a PC for quick and easy viewing of your memories. 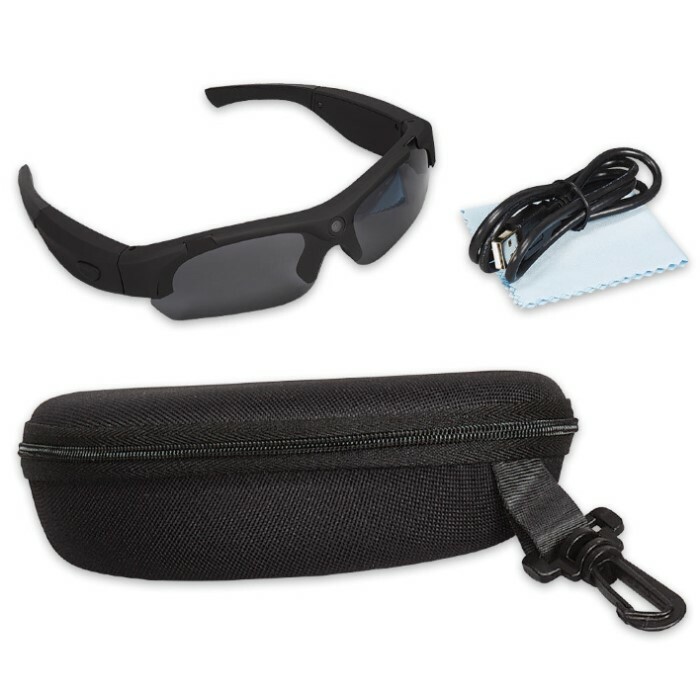 A USB cable and battery charger/power adapter is included plus a sturdy carrying case and cleaning cloth.